You and some friends decide to go skiing upstate over the weekend. One of your friends has a nice big Tahoe that can comfortably seat everyone and hold your ski equipment. You’re really excited, so you offer to drive to give you something to do. Unfortunately, your excitement soon turns into anxiety after you rear-end a car in front of you at a stop sign. The accident was your fault, so your insurance will pay for this, right? This accident will be filed under your friend’s insurance, because it was her car being driven. When you think about it, having insurance follow the vehicle is really the simplest system. After all, imagine going on a road trip like the one that was described. If auto insurance followed the driver, then everybody would have to bring a copy of their car insurance policy just to be safe. And depending on who is driving at any given time, this can make things really complicated. Vehicles are the things that are physically involved in the accident. Whether somebody gets hurt in an accident or not, the vehicle is always the first casualty in an accident, even if it’s minor. It does make it easier that car insurance follows the vehicle. It’s easy to just put your insurance ID card in your glovebox and forget about it. The only unfortunate situation about this is in the scenario described at the beginning of the article, where the owner of the vehicle will pay the price of having an accident even if they weren’t the driver. This system does have important consequences. One of the biggest ones is making sure each driver is listed that needs to be. Since insurance does follow the vehicle, insurance companies want to know who could be driving the vehicle on any given day. This mainly means people that live in the household of the person that owns the policy. Companies don’t care about a one-off weekend trip where a friend might drive, but they do care about a driver that has regular access to a vehicle on the policy. For example, if there is a licensed, teenage driver living in the household that is unknown to the insurance company, this could be a problem. Teenage drivers are much more likely to get into an accident, and so are rated to reflect that greater risk. If someone decides to save money instead of listing their teenage driver, and then if that driver gets into an accident, there can be problems. The same situation can apply with a roommate such as a boyfriend or girlfriend. Let’s assume that driver has a bad driving history with many accidents or violations. The insurance company is going to want to know about them because they could be driving the insured’s vehicle on a regular basis. Basically, if there is more of a chance for an accident on the vehicle that’s insured, and the insurance company wants to know about it. Yes, the rates might go up. But the risk in not informing the insurance company is that they could either cancel your policy after an unlisted driver is involved in an accident, or they could even deny a claim. This would mean that you would have to pay for any claim completely out of pocket. 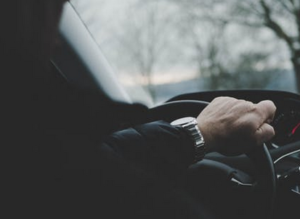 Trying to save that extra money by not disclosing a licensed driver is not worth the risk of potentially paying out tens or hundreds of thousands of dollars in damages to someone else. In our original example of driving a friend’s vehicle for the weekend, there is still a chance that the driver’s insurance could end up paying some of the claim. The initial claim will be filed under the insurance of the vehicle’s owner. However, if that person doesn’t have enough insurance coverage to cover the cost of the claim, then the driver’s policy could kick-in as secondary coverage. This isn’t a choice that the drivers can make, this will be up to the judges and the insurance companies. There is also a chance that the owner of the vehicle’s insurance company will subrogate against the driver’s insurance company. This just means that after paying out the claim money, the company will then legally attempt to get that money back from the driver’s insurance company. One coverage that operates a little differently is PIP, or Personal Injury Protection. This coverage still “follows the vehicle” but is applied to anyone inside the vehicle. PIP covers many things related to medical expenses. In our example, you were driving your friend’s car and got into an accident. Your friend’s policy would pay PIP money to everyone inside the vehicle, including you. Since insurance follows the vehicle, the next time that you’re going to drive someone else’s car in a weekend road trip, it wouldn’t hurt to ask the owner of the vehicle about their insurance policy. They can make any changes for the trip to adequately protect everyone.